Launch of Mineral Flowers, an exclusive line of Sephora. 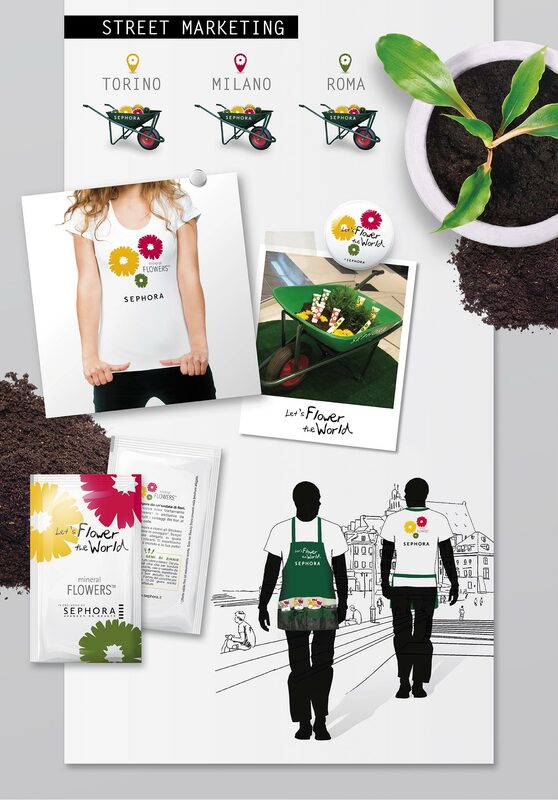 Creativity and coordination of magazine adv campaign, street marketing and in-store promotion. What we have done: Art Direction, Contents Development, Windows and Street Marketing Outfit.